The result is a low-acid, zesty wine with ripe-fruit flavor. The nouveau wine tradition is made famous by the Beaujolais region of France, which annually releases a crush of young Gamay reds, "Beaujolais Nouveau," in the third week of November. This year, Lincoln Peak brings the centuries-old custom to the Green Mountains. "This is the first year we made a nouveau wine, and I'm happy with the results," says Granstrom. "We had such a big crop of beautiful grapes after a perfect growing season — the bountiful yield gave me some extra Marquette grapes to 'play' with. I played, and the results are really fun. And good." 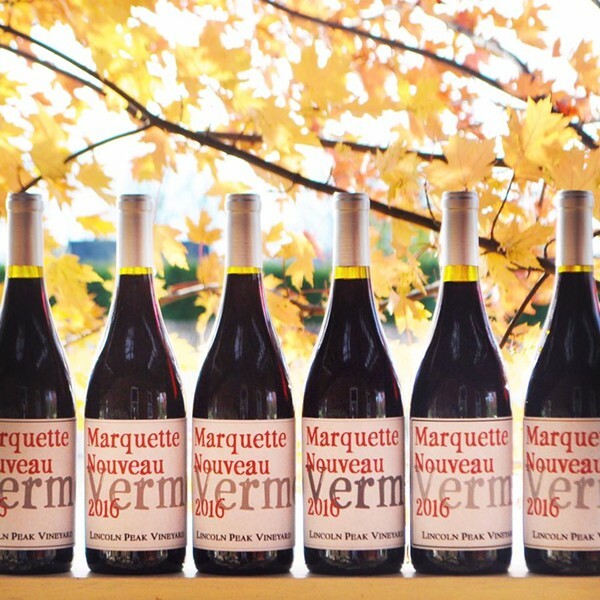 A release party on Saturday at the New Haven winery promises Marquette Nouveau bottles and growler fills, plus local cheese, crackers and sausages for snacking.